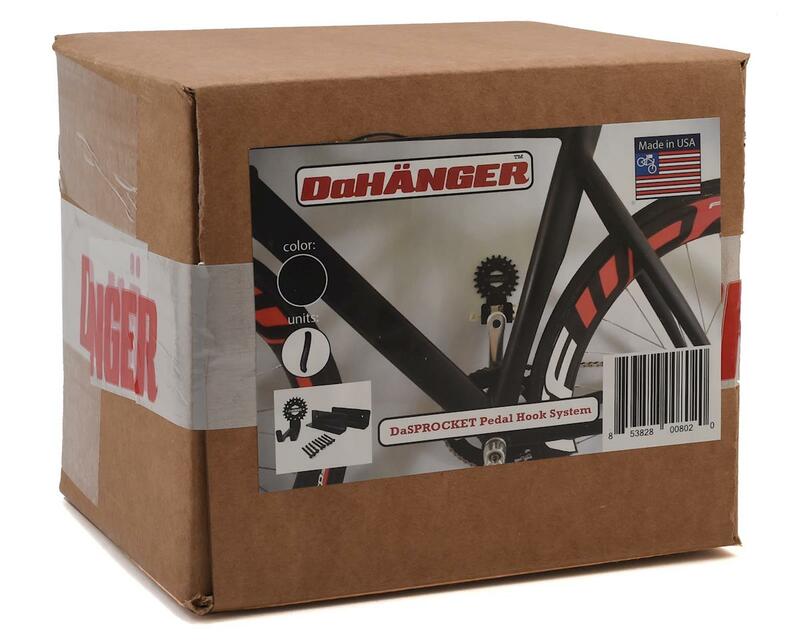 The DaSPROCKET pedal hook is a horizontal bike storage system that holds the bikes at a 20 degree angle. 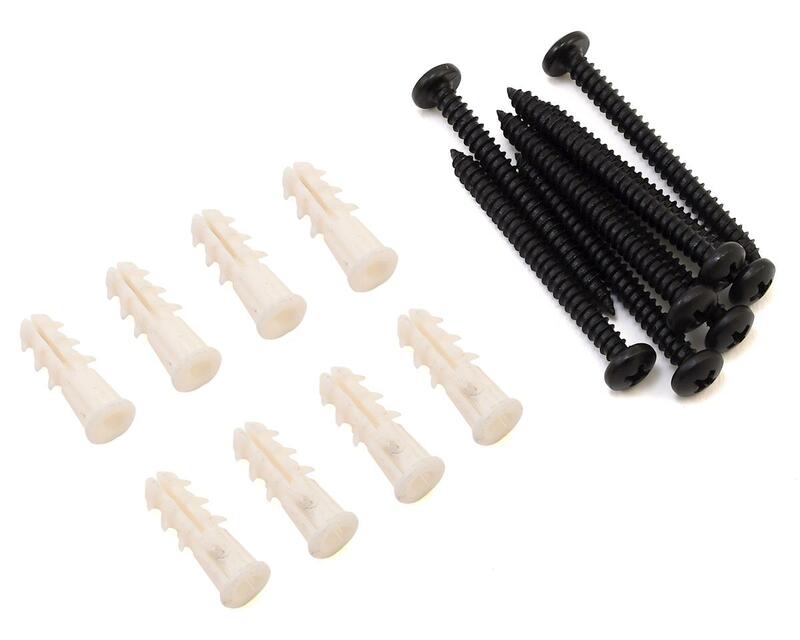 Perfect for narrow hallways or when hanging road bikes. The rack holds up to 40 lbs. Works with all pedals, including Speedplay and Eggbeaters. Made in the USA - laser cut, bend and powder coated steel. 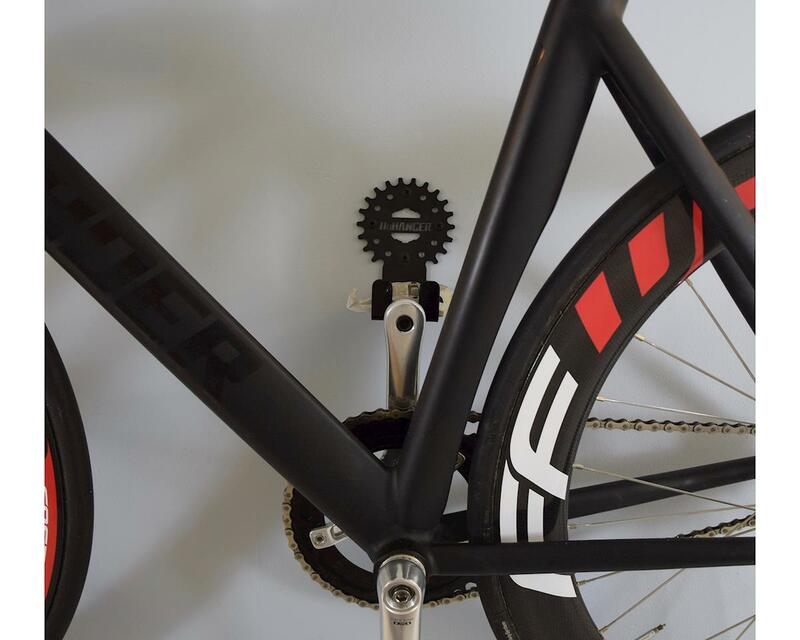 The perfect solution for storing those high end road bikes up and out of the way. Reclaim your floor space and square footage. 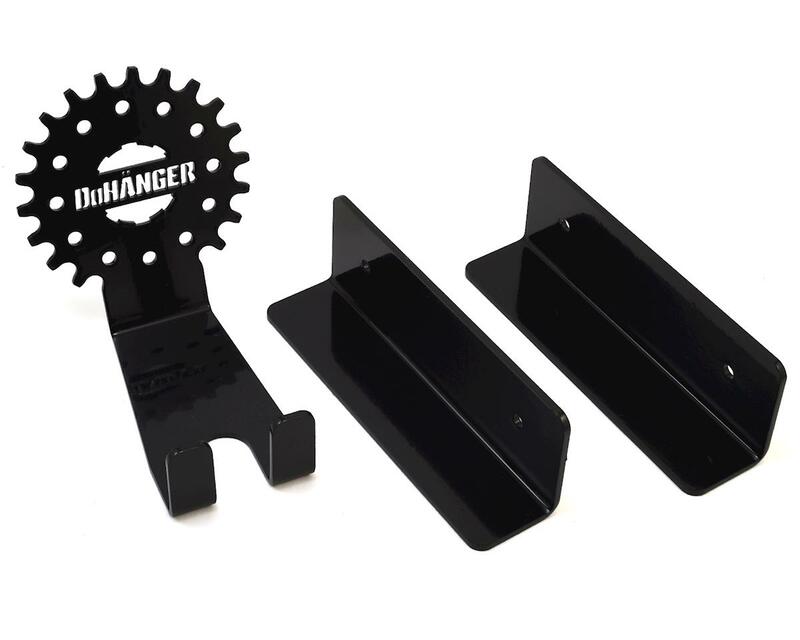 For Mountain Bikes, commuters, and other bikes with wider bars and more weight, we recommend the Dan Pedal Hook.